Real-time computational simulation on the rapid transient cooling process has been conducted for the insulation capacity improvement of a compact gas circuit breaker. 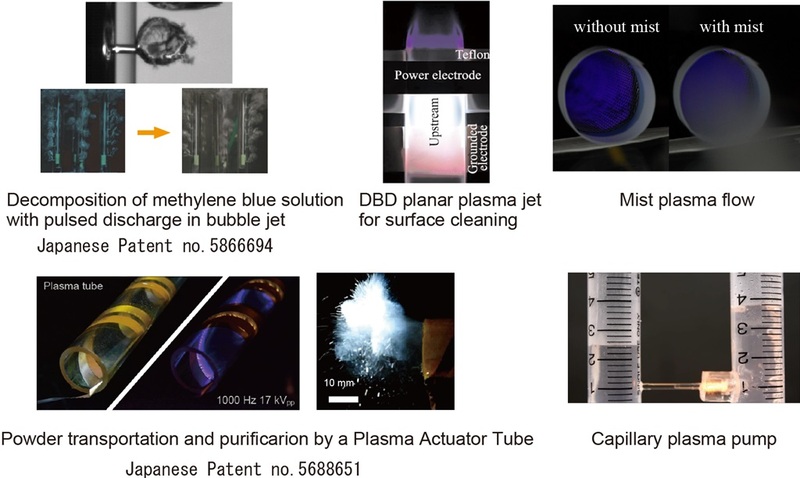 Moreover, the DBD plasma torch is developed for the combustion enhancement in an engine. 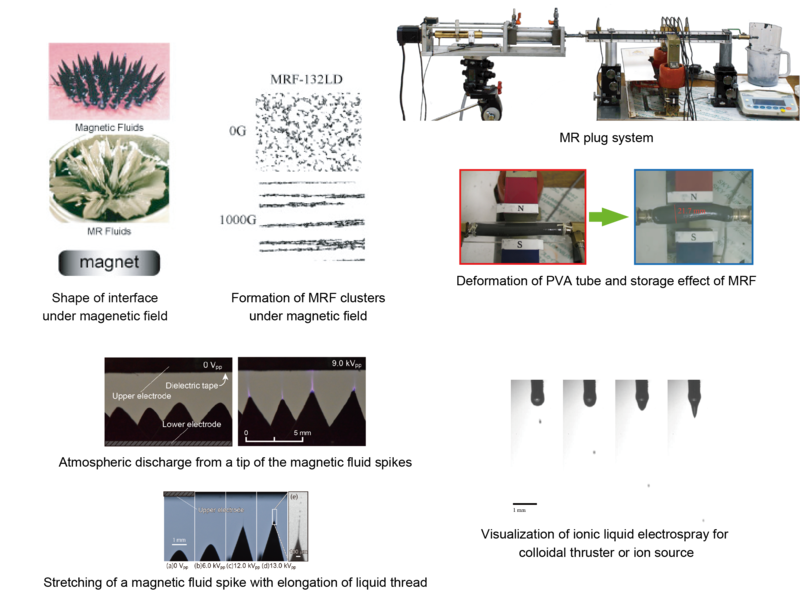 Studies are being conducted to clarify the thermofluid characteristics of environmental purification processes such as arc ash melting system, purification of particulate pollutants and waste water treatment using bubble jet and capillary discharge. Futhermore, their optimization has been carried out through controlling the electric energy of plasma flow and chemical reaction. Numerical analysis is conducted to clarify the control characteristics of plasma and cold spraying processes, nano-particle synthesis and to obtain their optimum operating conditions including the configration of reaction chamber. 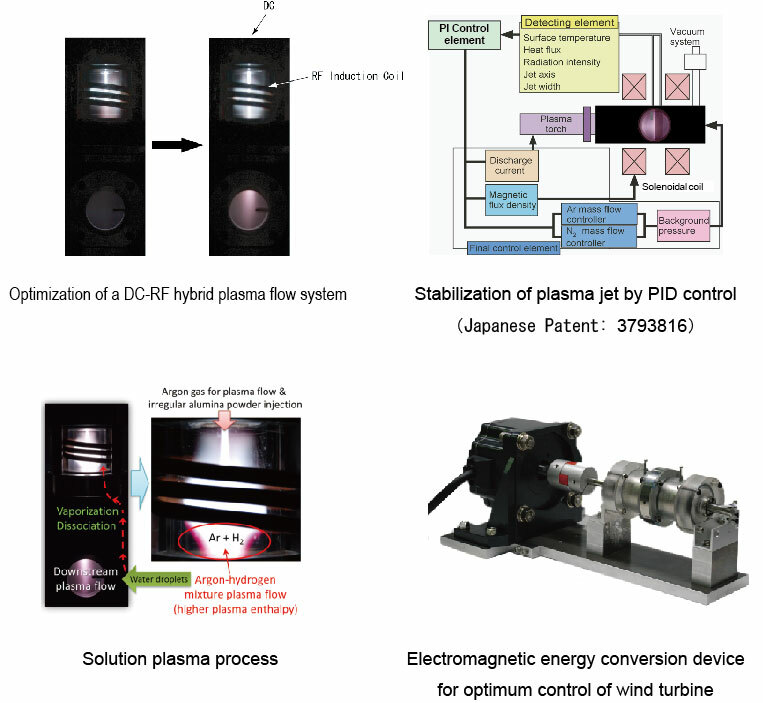 The smart plasma flow system is established by integrating the plasma flow, functionalized sensors and controllers. In this system, the unstable behavior and the dynamic response of plasma flow are controlled electromagnetically for the macro or micro level. This smart plasma flow system is applied to the smart powder processes for example. Furthermore, the deveolpment of electromagnetic energy conversion device has been conducted for efficient utilization of wind energy. Magnetic fluids and magnetorheological suspensions with high viscosity and high magnetization are applied to a smart damper, actuator, brake, shock absorber and valve. Fundamental study is conducted to clarify the cluster structure and its related rheological properties in the applied magnetic field. Final objective is to develop the advanced magnetic particulate fluids and apply their industrial and medical mini-systems. Furtheremore, ion liquid is investigated in the application to a capacitor or space propulsion system.